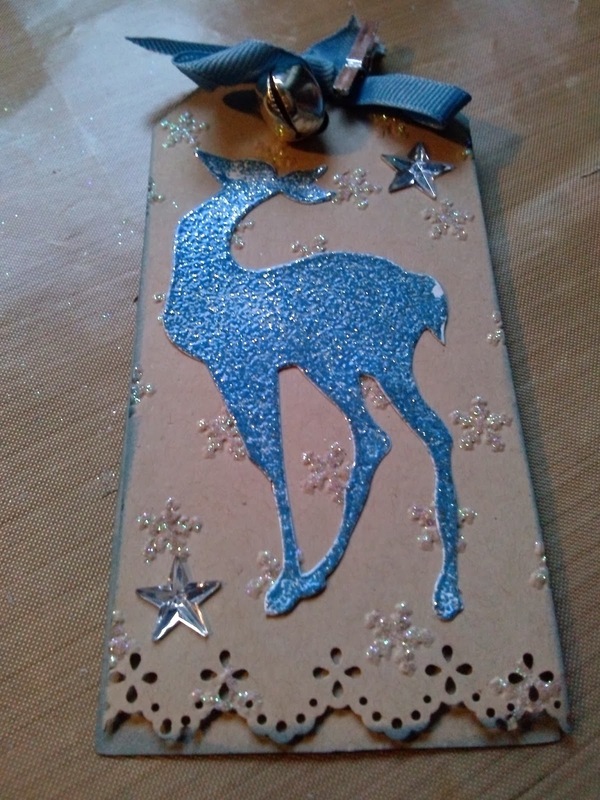 Here is a Christmas tag I have made. 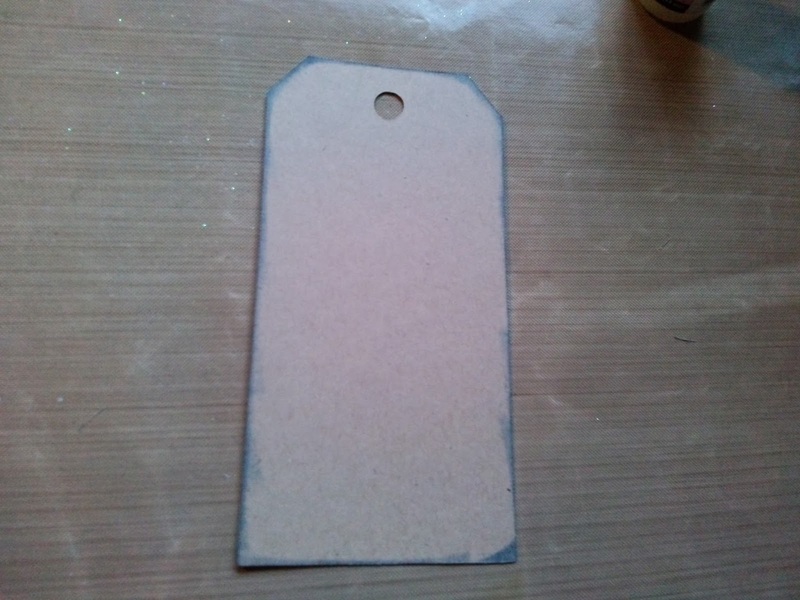 I have used two tags. Glue ( I use glossy ascents ). 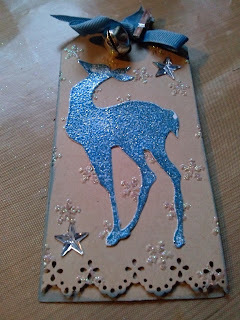 Motive I used Tim Holtz Reindeer. Embossing folder ( I used one With snow ). Tim Holtz Distress Ink Faded Jeans. Start by cutting out Your tag and using the blue ink round all the edges. Put the tag through Your embossing folder and use Your big shot to impress the pattern. 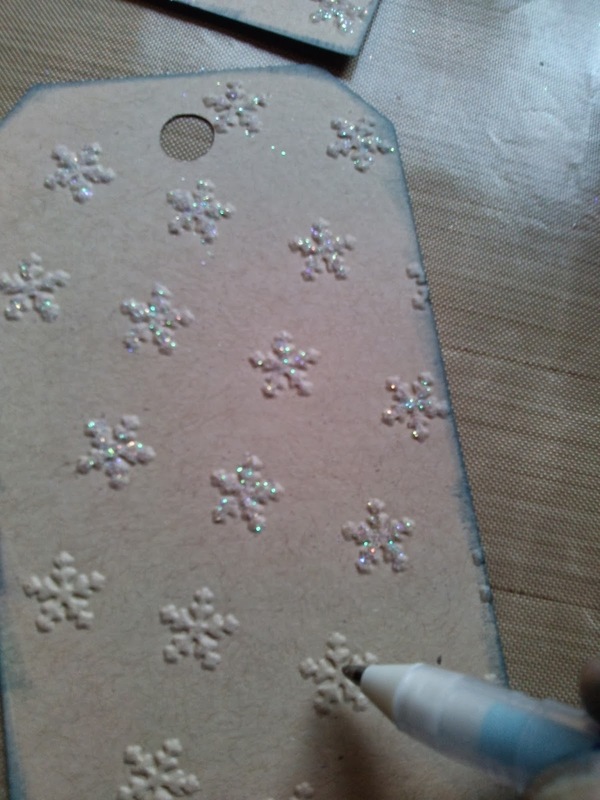 Then I used a glue pen to cover the snow flakes. 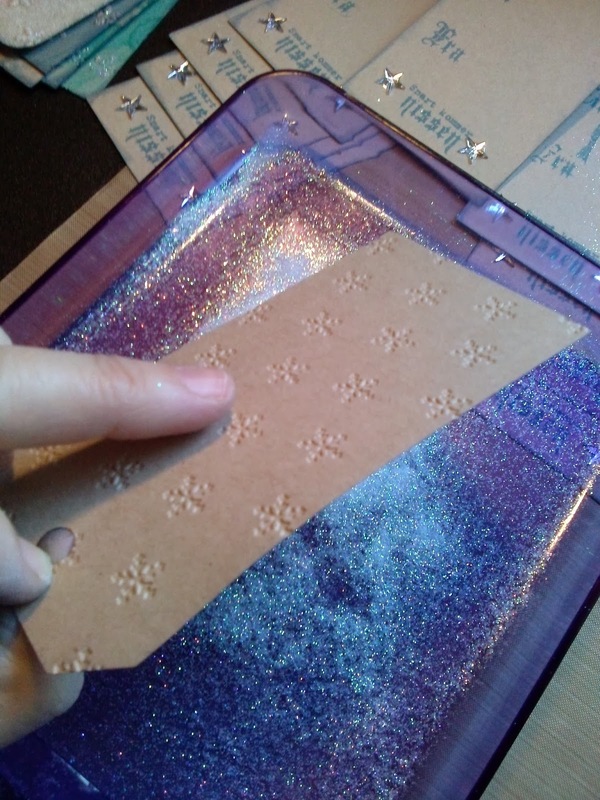 Give Your snowflakes a good coating of glitter as shown in the photograph. Once Your glitter is on then tap off an lose glitter from the backside of Your tag. On the other tag I have stamped to and from ( mine is in Norwegian ) and the stamp I have used at the bottom of the tag says soon comes Father Christmas. 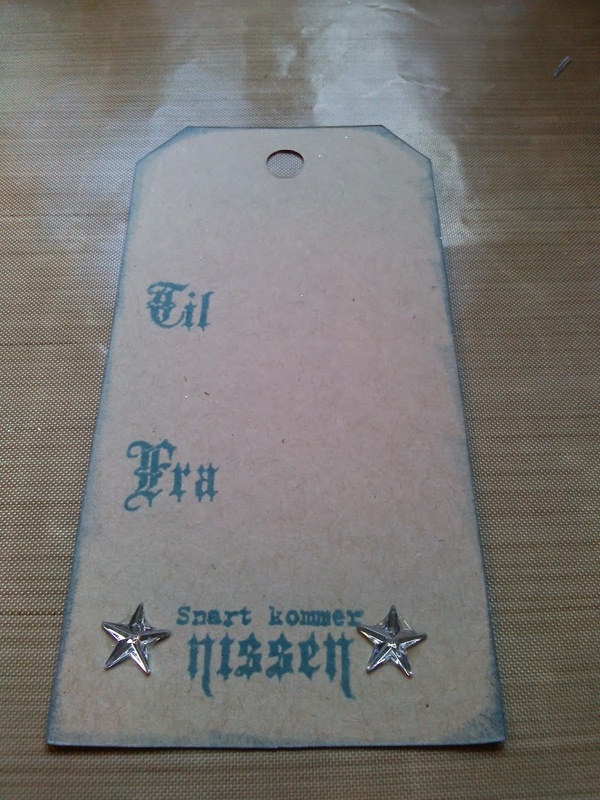 I have also edged the tag in the blue in and have added two stars. 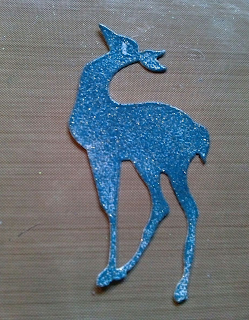 Now cut your reindeer using your die and bigshot. 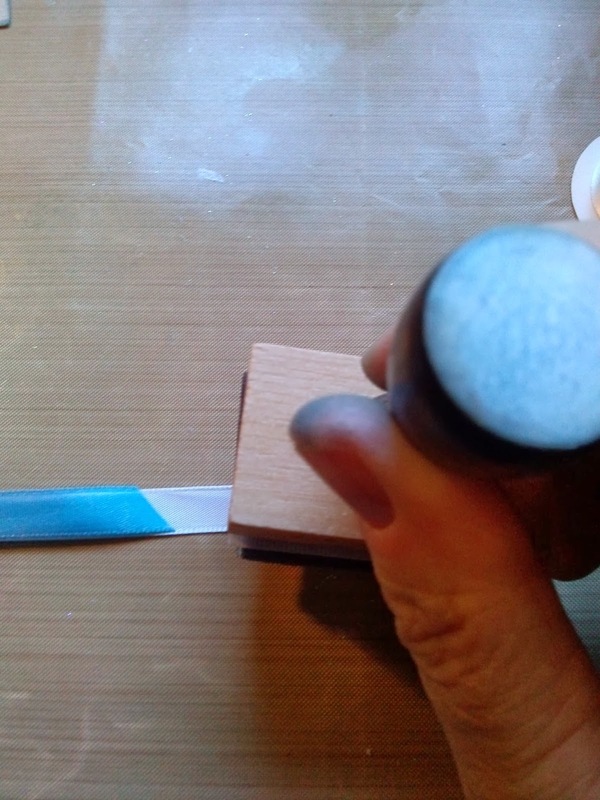 If you don't have a die and big shot then you can cut out by hand. 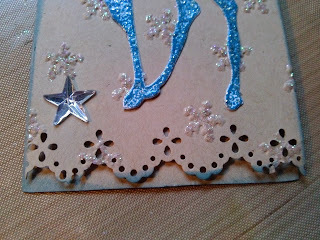 Using Your embossing pad rub over the reindeer and then use Your embossing powder and heat gun to fix. 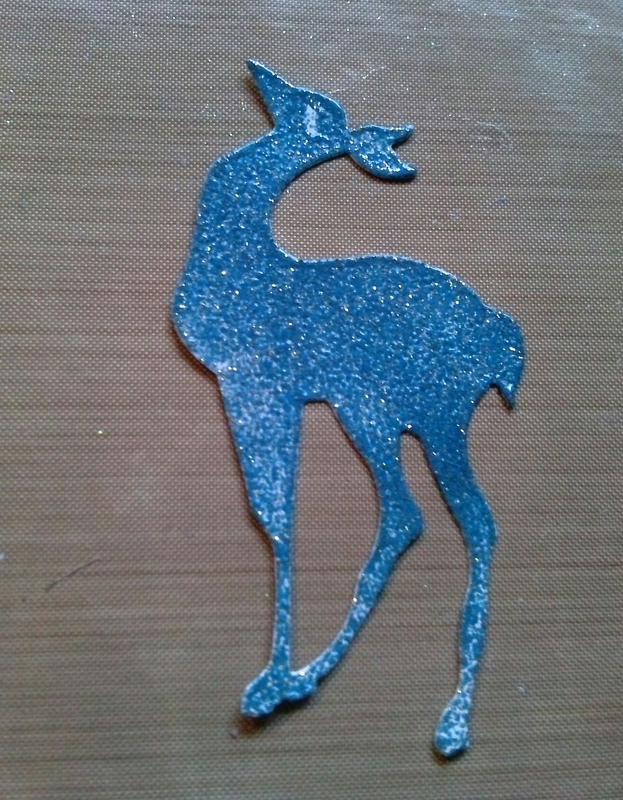 Once dried attach to Your tag. Then I use my edge punch and make the edge on the front tag only. 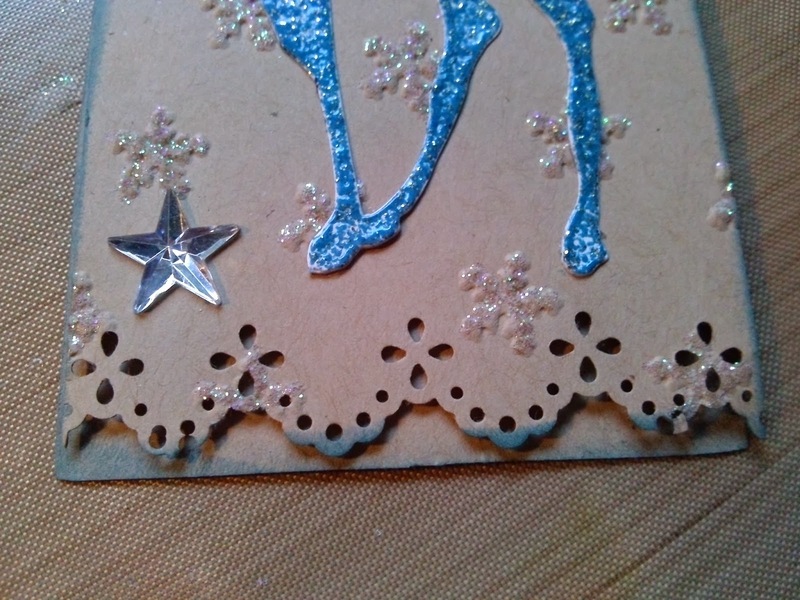 I then add a couple of stars and I also add ribbon and a bell along With a small silver peg. Thread the ribbon through Your two tags and tie in a bow and there you have Your tag. 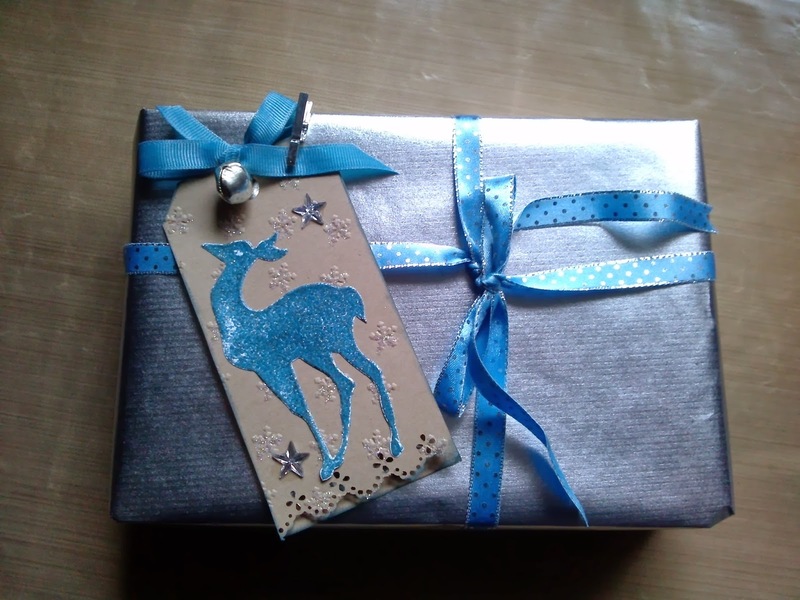 Here I have used silver paper and ribbon to wrap my Christmas present. 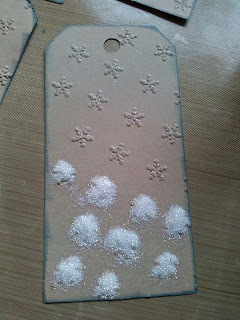 This is just one Christmas tag I have made you can make the same or adapt it to Your own idea's. 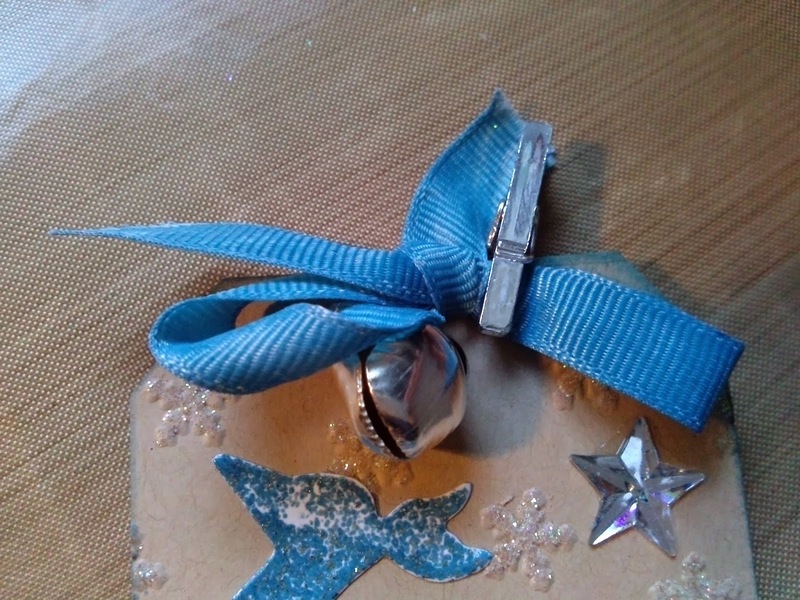 If you only have white ribbon then take your Distress Ink and cover your ribbon to the dept of colour you like let it dry using a heat gun or naturally and BINGO you have a coloured ribbon to match Your Project.